How many times do you see individual decisions being made that are against the values and strategy of your organization? Why does this happen? How do you stop it? Do you have a documented strategy, plan and values to guide decisions? 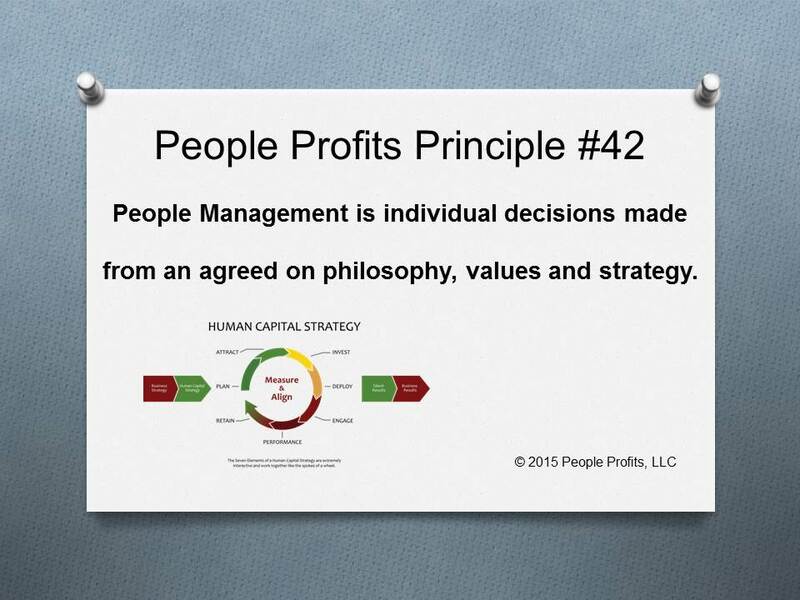 Do the strategies and plans of the 7 areas of Human Capital Management agree with the overall Human Capital strategy and with the business strategy? Do the plans and tactics of the 7 areas work together or conflict? Would you like some help? Too many times HR is making individual decisions that do not relate back to the organizational philosophy, values or strategy. Or they allow one of those criteria to override the others - to the detriment of the organization. Or they let a problem slide - causing a bigger problem.